This build is very beginner friendly and can do games content pretty well from level 1 to level 120 and beyond with minimal gearing. This build is highly customizable so dont keep this guide as a bible. its just a guideline to one of the setups that works well and worked for me! 6 points to iron spiral and 1 all the rest melee skills. This skill build ain't absolute its modifiable as much as you want. You can basically build it how you like, just keep highlighted skills as they are. vitality: None. If you think you are too squishy you can put all points also on vitality. you get more life but lower damage. Defense you should get around 600k with bear stance if not even more. 250 Life after each kill or more if you can. on below videos i didn't even hit many of these but was still able to do farming pretty well. dex: Around 2600 to get max block with gladiator's dominance and invictus shield. (You can check block amount hovering over your defense on stat screen). max gladiator's dominance (Dont use this uberskill until you have enough dexterity / some signets under your belt as you need high dexterity for block chance!) use runemaster instead if you lack on stat points to get block. Leveling: This is straight forward. Equip sword level up iron spiral and get going whacking! there is nothing special you need to know. use lion stance until you get bear stance and use that until you get wolf stance. after that go leveling up wolf stance up . below items can carry you to A5 destruction just upgrade items with Arcane crystals you get. Sockets: early on just use runes on sockets what you think is useful. Mo's: Resistances on jewelry. about 86% fhr is fine to go as for now. Gearing and farming: Best place to farm first defenately is kurast 3k it is located on torajan jungles and the beginning of the jungle. (red portal) use bear stance and skeletons immunity ain't a thing to you anymore. just use iron spiral to kill them up and farm items. with this build Duncraig is easier than TA until you get life per kill from items. just avoid barrels with windform like in the video. on switch weapon: Crafted barbarian Axes with +24 Mark of the wild o-skill. preferable with +5 barb skills. , Doom proc rare with TTAD or lightning arena / Skills , Banish proc. Mo's: Fhr, Defense, Deadly strike. now that you are starting to be 120 or allready are you should be trying to get some signets and charms. if you are trying to get max block at this stage of the game you need charms + io runes on your gear to achive that and also some stat points from signets if you dont have enough stats use Runemaster instead! preferably luckied with ignore target's defense. Also good craft weapon comes in option or Kabraxis runeword weapons. on switch weapon: Crafted barbarian Axes with +24 Mark of the wild o-skill. preferable with +5 barbarian skills. 1. DeathProjector: use bear stance and avoid death ray. you can just stormblast this down or use wolf stance and kite monsters around and stormblast the thing. 3.Infernal Machine : windform / bear stance to boss and stormblast it down. 4. Rathma Square: windform / bear stance to boss and stormblast it down. 5. Azmodan: windform / bear stance to boss and stormblast it down. 6. Cathedral of Vanity: You need to have Jitan Gate oskill from Lord Adric Jitan uber charm before you do this uber. When you enter the place you will end up on a small room. Lure as many enemy from the big room to the small room as you can. After you have lured, you use Jitan Gate to teleport to the big room and make tp at bottom of the room. After that windform / bear stance to crystal ball and stormblast it down. when its dead just use iron spiral to clean the place up. 7. Vizjun: windform / bear stance to boss and purify it down. 1.The Butcher: cast 1 summon at a time and wait butcher to cast circle to the ground. lure him there and stormblast him with wolfstance. 2.The Binding of Baal : you need to kill all the minion 1st before u can kill the boss. Lure the minion 1 by 1 to avoid getting nuked by their spell and kill the boss after all minions are down. 3.Assault on Mount Arreat : you need to kill all the minion 1st before u can kill the boss. Using Merc can make this uber easier. Your Bear Stance and Your high def can tank most of the arrows. 4. Akarat : in torajan jungle this boss is easy. make tp before you kill her then just go ham with iron spiral. when you see hammer shower coming, run circle shape to avoid hammers. 5. Legacy of Blood: Using Merc can make this uber easier. windform / bear stance to boss and stormblast it down when he casts wychwind. 6. Lord Aldric Jitan: you need to kill all the minion 1st before u can kill the boss. Using Merc can make this uber easier. you can tank many arrows but try to avoid the singularity cast by enemy after death. 7.Judgment Day: Using Merc can make this uber easier. you have 2 way to do this uber. 1.Needs High luck which wait so that 2 different boss is summoned successive below 30 seconds. 9.Brother Laz. : 50% Slow and no procs on any gear / charms. summon him and run away a little. when he teleports to you just use purify to him and hit him few times. then run away. Kite him until you have covered about half map. then run far away from LAZ and clear monsters + towers that he did to otherside of the map. then just repeat the kiting until he is dead. 1. Kurast 3000 BA : just use bear stance and kill everything stormblast crystal balls and nercromancers. 2.Island of the Sunless Sea : windform / bearstance to boss and stormblast it down. summons make this much easier. 3. Khalimgrad: windform / bearstance to boss and stormblast it down. 8. Kingdom of Shadow : Run & windform / bearstance. before boss make TP and stormblast him to death. 10. Duncraig: basically farming place. check video below. on assur get 90 max fire resistance and 250 fire res and he cant do anything to you. 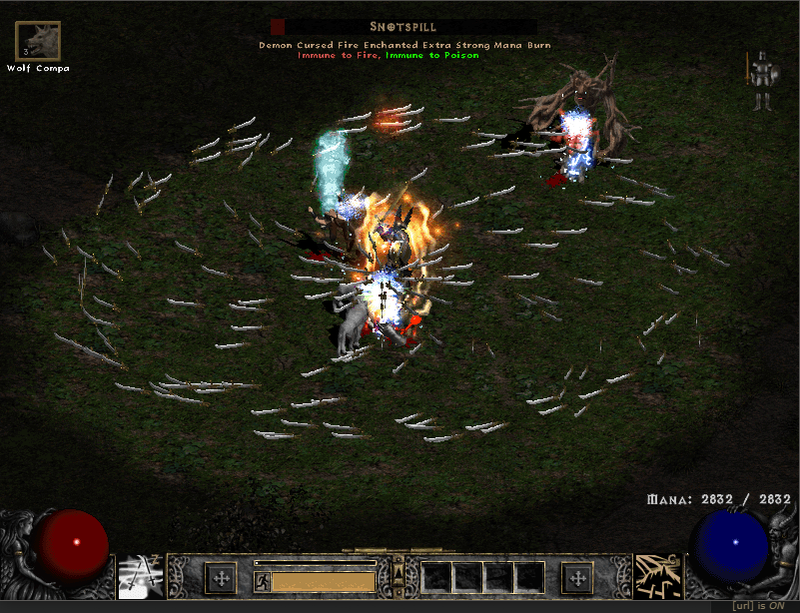 11.Yshari Sanctum: just use wolf stance and iron spiral in here and stormblast bosses. check forum for better guide to yshari and maps for the place. 12.Wretched Hive: make tp and stormblast him to death. takes a while but dies still. 1. Bull Prince Rodeo: just facetank on corner with bearstance and use stormblast on him until dead. 2.Quov Tsin: one way to kill him is to respect your skill to fortress build and maximize Wolf Stance. U will snipe the boss using fortress while using Wolf Stance. Put a bit skill point on wolf companion to increase seek range of fortress. 3.Belial: you need to make tp near entrance of Icy Cellar. Lure the boss. After that go ancient way wp and go near entrance of icy cellar. Make a lot of summons and ready to enter icy cellar and hit the boss in few seconds and die. just repeat until dead. 4. Athulua: Keep Hitting her until she's dead. Just be sure u have a lot of potion standby since your health always gonna be low with the tremor cast by the rat on death. 6. Kabraxis: U need at least SU Light Belt Endless loop to do this uber way easier. Just melee him like usual but u gonna be teleported a lot of time and need drink a lot of potion. The other way without endless loop is using fortress or to kill him while avoiding using windform skill and wolf stance. Stone/Physical: Use Shower of Rocks or Fortress. The Boss better use fortress or Guardian Spirit only to avoid getting killed by his broadside skill. Magic: U need to respec and have a lot hard skill points into lion stance to make this thing easier. Use Lion Stance, Shower of Rock and Fortress. Your on-switch gear isn't accurate. You list +22 gift of the wild. Affix Table says: +18-24 Mark of the wild. Also, decent start for a guide, but it looks like it needs a lot of work. It's not very readable past the videos. Giant text wall, bad grammer, etc. Some formatting will help make this look nicer and appealing. L H wrote: Your on-switch gear isn't accurate. You list +22 gift of the wild. Why? I think, its very useful. Glad to see a Barb guide for the most recent patch here Have a cookie!! iamq1803 wrote: Glad to see a Barb guide for the most recent patch here Have a cookie! !